It is no secret, for those who know me, that I am a little bit obsessed with the castellers – human towers – in Catalonia. A tradition started and maintained in the northeast of the Iberian peninsula, the building of castells has become known worldwide through photos and videos of the Concurs de Castells, which I wrote about in my last blog post. 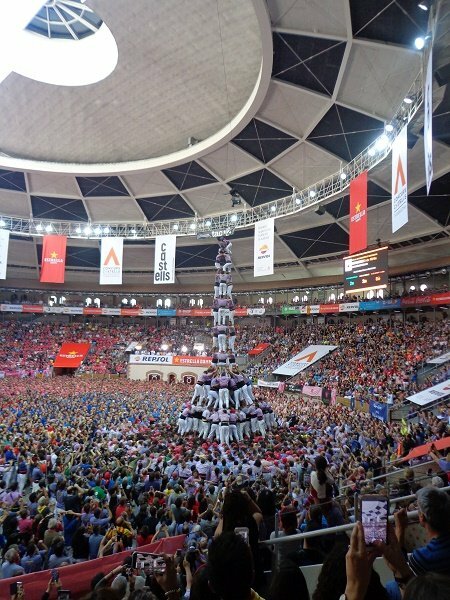 It is not easy to get tickets to the final of the Concurs de Castells, but it is easy to see castellers at other times of the year, in various towns and cities during festivals and even for practices and smaller exhibitions. 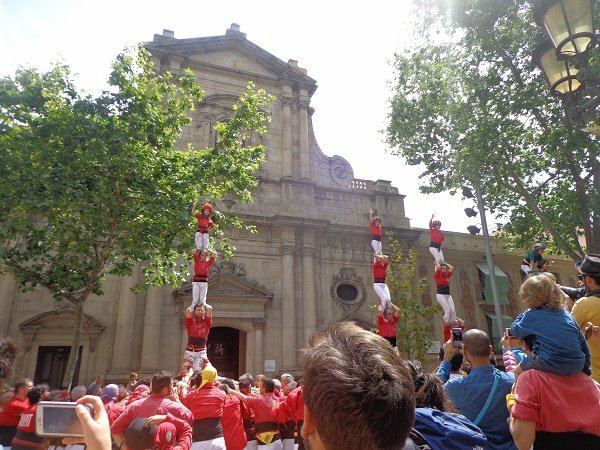 Some festivals have more castell building than others, and some festivals have a lot more going on than just castells and are well worth checking out, such as Santa Tecla in Tarragona and La Merce in Barcelona. 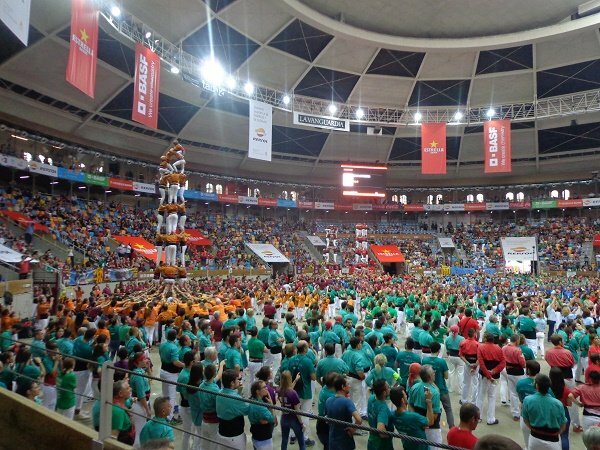 If you are planning a trip to Catalonia, and want to see the castellers, the first place to start is the calendar of performances here. This useful website also has a lot of other information about the castellers. In the calendar, you can find the times and locations of the various competitions, festivals and other exhibitions throughout the year. In a smaller. more regional festival this year – Firentitats a Sants in the neighborhood of Sants in Barcelona – several of a group I brought were invited to be a part of the “pinya,” the base of a castell. So sometimes when you go to the smaller exhibitions you can really get up close and personal. 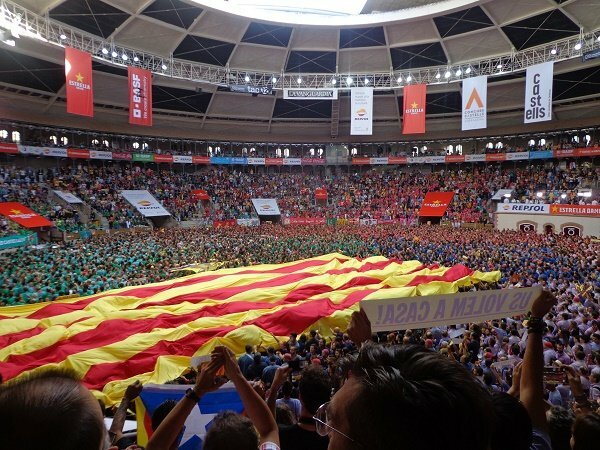 Of course, the be-all end-all is to attend the Concurs de Castells, the bi-annual competition of the 42 best teams. I wrote in August about the challenge of getting tickets. Since that time, I have been to the last Concurs, in early October. It was an emotional and exhilarating weekend. When the crowd sings their national anthem, it is quite moving. I mentioned in that post how difficult it is to get tickets for the final on Sunday. However you could, up until the day of the event itself, get a ticket to the semi-final on the Saturday evening before. For me it was very difficult to use a US credit card when trying to buy a ticket but I understand this was also a problem for some Spanish credit cards. In the end, I had a friend in Spain get me the Saturday night ticket and was offered a ticket for Sunday from someone with an extra, so I got to go both days. It is worth it to catch the smallest of exhibitions in little towns, but if you get as obsessed as me, you will want to eventually get to the Concurs. 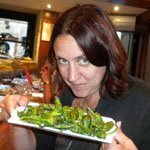 If you ever do, please write to me so we can meet up for a vermut at the Tarraco Arena during the event.